I may have written about this scene before, but it bears repeating. In Before Sunset, Ethan Hawke is on a book tour where he is talking about his next project: this idea of a song transporting you back in time. How it grabs you and can make you remember things you’d forgotten – all of it locked within a song. I love that idea. And I know that music has had a big influence on my life. Even as I write this blog, Alice in Chains is grooving on the speakers beside me (Jar of Flies). But each of the songs below have a specific meaning in the time and place for me and to this day, hearing the song means having this little memory attached. Driving back from Virginia with Lee and Egg, we’d gotten this sampler tape from Limp Bizkit when they’d opened for Korn in Athens, Georgia. Fred Durst was handing them out to anyone who would take them, and after seeing them play Faith, well I figured what the hell. 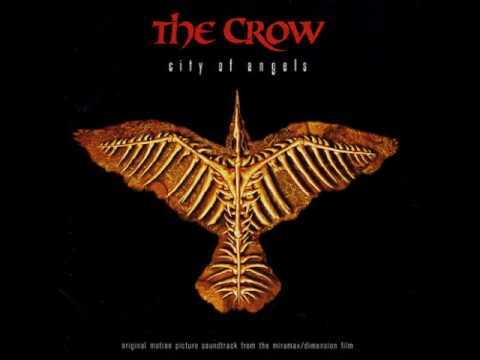 The original Crow soundtrack might be one of my top 10 cds of all time. It is amazing from front to back, and instantly takes me directly to the film and the feeling it tried to invoke. Now… the second Crow film was… it was not good. But I saw the soundtrack, and I knew that Korn has a song on it. But it was the song directly after that one which grabbed me on the very first listen. I might have run out that following weekend to find their cd and ever since they’ve been my second favorite band – all because I had hopes the second Crow soundtrack would match the first. There once was a time, before the internet, where in order to find out about new bands and new songs from bands you loved you had to go to a record store and HOPE to find something. Sometimes that meant getting bootleg copies of concerts or imports from Europe. In Pearl Jam’s case, it meant finding the Import version of the Jeremy single which had not just one, but two b-sides: Footsteps and Yellow Ledbetter. I may have paid around $20 for those two songs, but it didn’t matter. To have those meant I had everything Pearl Jam had done (little did I know how wrong that idea was even in ’93). Regardless, that 3-song cd didn’t leave my cd player for a good while. It’s Spring Break and the Grunge bug has taken me over. But I’m down in Florida for a couple of days visiting one of my friends from South Georgia and he’s much more into Hip Hop. 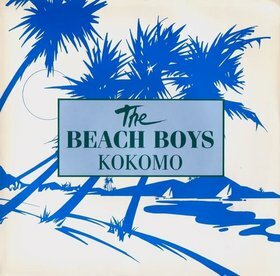 So that’s what we listen to as we dr ove south, and as we drove around the beach town (which I forget which one it is), and as we are just hanging out at the hotel with some girls also staying there. It was also cold, maybe in the low 40s (for Florida that might as well be negative numbers). And there we all were huddled together for warmth. Nothing came of that evening, we went home the next day, but it’s one of the first moments in my young teenage life where I didn’t feel completely awkward or tongue-tied. 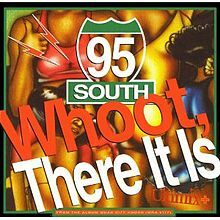 When I got home I bought the single of this song on tape. Of course, being a teenager almost any music would key off on some very important and interesting events whether you’d planned it that way or not. Still, these moments… these songs, silly or not, hold a candle for a memory inside my head. And I’m grateful for it. What's 1 Little Japanese Maple Worth?